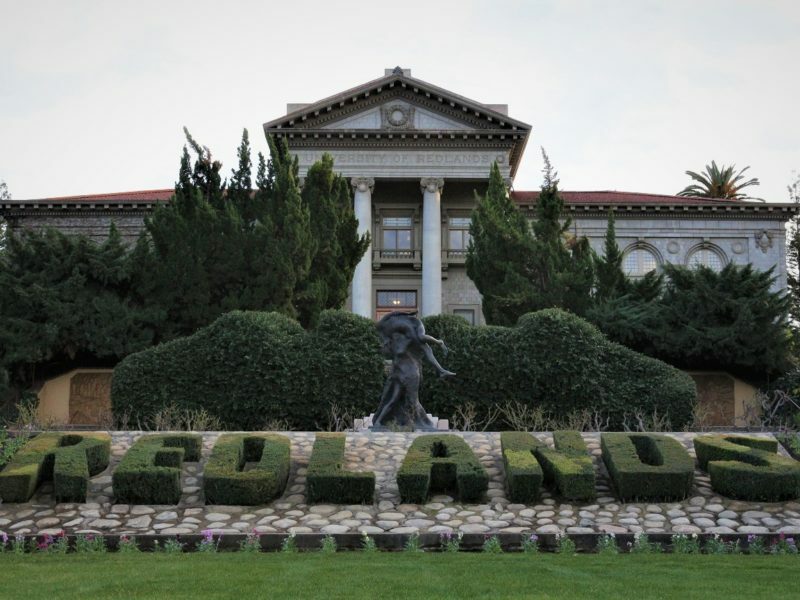 Running the most recent table that read, “Change My Mind: Build the Wall” was on-campus club Young Americans Foundation’s club president, University of Redlands freshman Kyle Bott, who informed me he dominantly led the effort. “I have the confidence to go out there and be yelled at and have those conversations. So I led up on it, made, bought [the sign], went out there myself. It’s about setting an example for those who aren’t as confident,” Bott said. 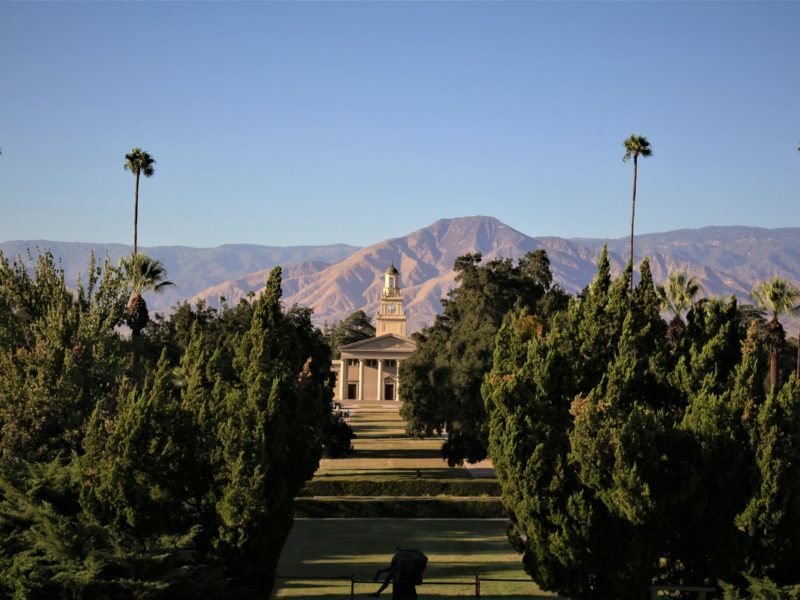 Certainly, Bott and YAF are not unaware of what he describes as backlash from the student body for their club activities. “I don’t want to hurt anyone’s feelings or anything like that and that’s why I sit there quietly and I watch people pass by until people come to sit down to talk to me because then it’s their choice to come to sit down and talk to you,” Bott said. I pointed out that feelings may be hurt regardless. Bott agreed with my sentiment that the issues he puts forth for discussion are sensitive, and often pertaining directly to the student body. “But I don’t think that’s a reason to have not have that discussion. If at the end of the day a couple of people feel uncomfortable, oh well. They can walk by and forget about it. There’s always a backlash,” Bott said. Backlash indeed. 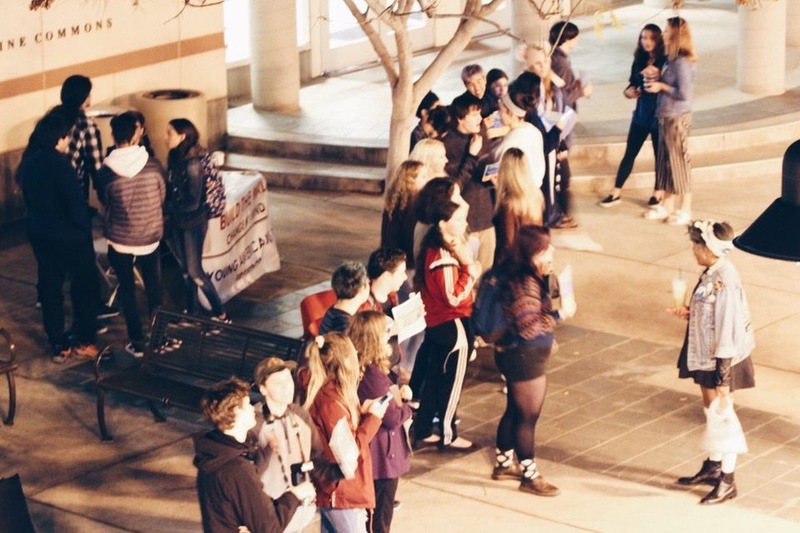 YAF’s discussion was met with its fair share of protests. 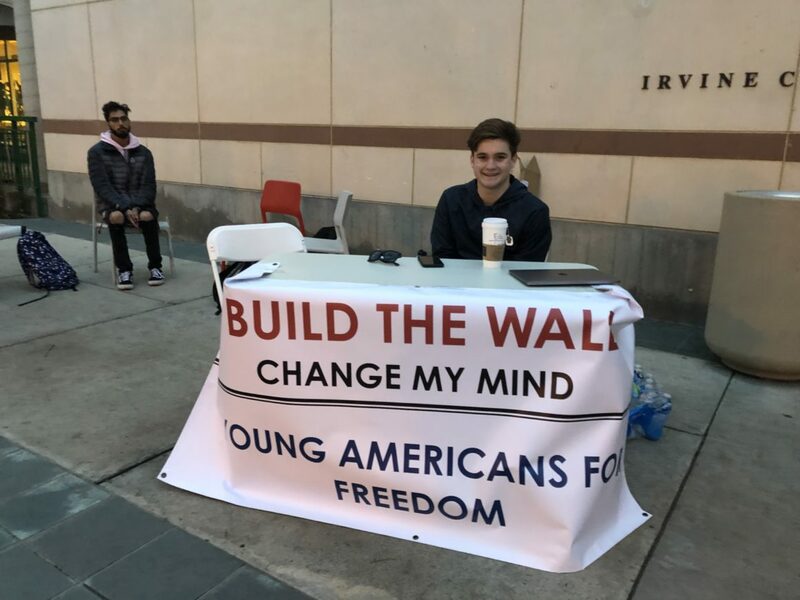 Students protesting the Change My Mind table. Photo courtesy of Em Rosales. Lexi: Well, do you feel like that’s fair? To have people protest? Kyle: Oh, yeah, absolutely. I agree with the right to protest. I don’t think it’s productive. I think it’d be more productive to sit down and have a conversation. Lexi: Oh, you don’t, ‘cause you feel like this wouldn’t necessarily stop you from continuing? Kyle: Yeah, and I didn’t. I came in on Thursday and sat in the Commons for 6 hours. And I came out there on Friday and sat out there for 8 hours. Lexi: I guess I’m just kind of stuck on the idea that, like, if I were an undocumented student or if I had undocumented parents, and then I saw this sign as I’m walking to get food, I’m pretty sure discussion would not be the first thing on my mind. So I feel like these discussions will be between people who are comfortable speaking on behalf of those it might directly affect or people unrelated to the situation. And with pro-life and pro-choice — if I had had an abortion, I am sure I would not be comfortable sitting down to have a conversation about it. Kyle: Which is again why I don’t reach out directly to people. And, now, of course, for the million dollar question: Was Bott’s mind changed? YAF brought Ben Shapiro to campus two years ago and have plans to bring more conservative speakers in the future. They show no intention of stopping their activities, including “Change My Mind”-branded discussions. Bott informed me that since the introduction of the activity, YAF club membership skyrocketed from eight members to a whopping thirty, and for Bott and YAF members alike, who view the activity as a predominantly productive one, there would indeed be little reason to stop. Neither Bott nor myself, who share views on nearly opposite ends of the political spectrum, seemed to change our minds throughout the course of our conversation. He seemed to still contend that, at the end of the day, a conversation like this is a productive one. “The thing is at a Washington level we just kind of hit each other with talking points and we don’t listen to each other at all. So if we produce a youth that has those abilities, I think we’re gonna get compromise and be able to push forth good legislation,” Bott argued. We both certainly listened, and we both certainly weren’t just hitting each other with talking points. And we still, of course, rejected each others’ ideas. I likely will not find myself sitting at YAF’s table, but Bott and other YAF members will still be waiting outside of the Commons, awaiting their next discussion — or protest. I don’t think this should be called “change my mind”. He wasn’t there to have his mind changed, that implies listening. The calm conversation I had was not listened to but challenged at every moment. So I think they should call that “this is my opinion…that’s it”.